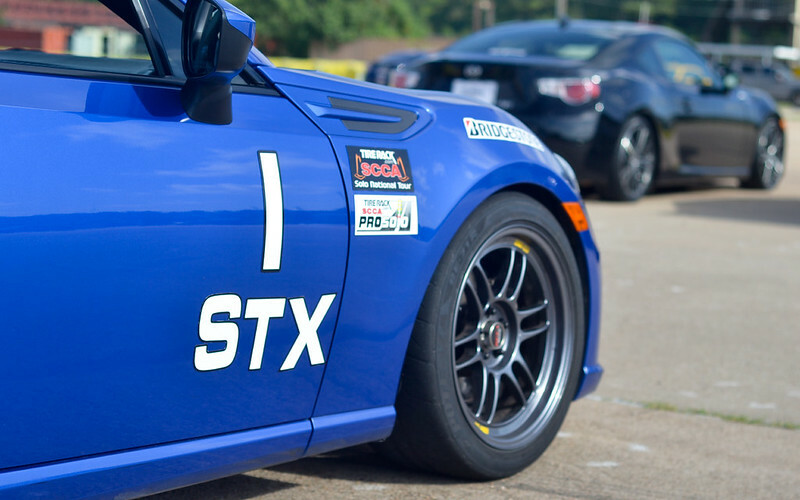 Im no racing driver or even at a pro level, but I am a track rat and go to track days once a month. 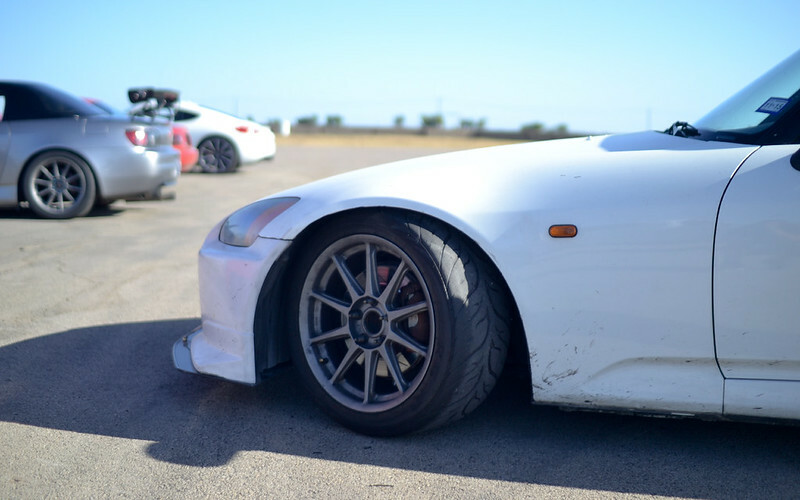 From my tracking experience, the way your utilize you brakes will make a big difference in lap times, and your car’s handling dynamics. 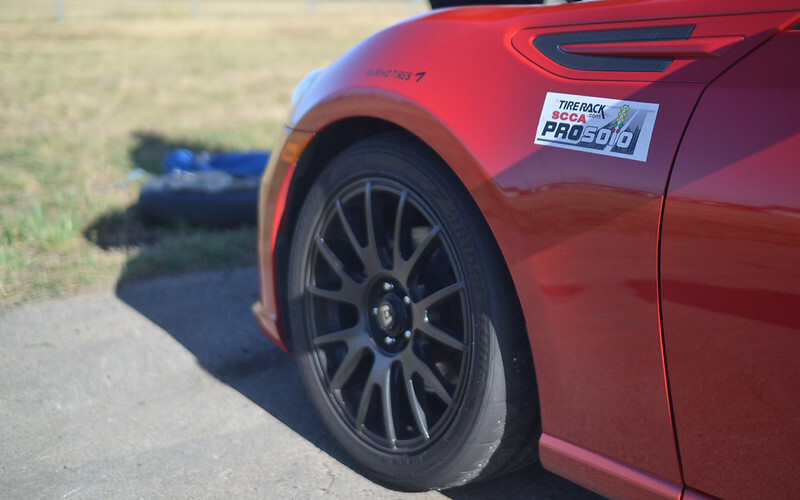 Tracks have some type of braking markers that you can use to your advantage. 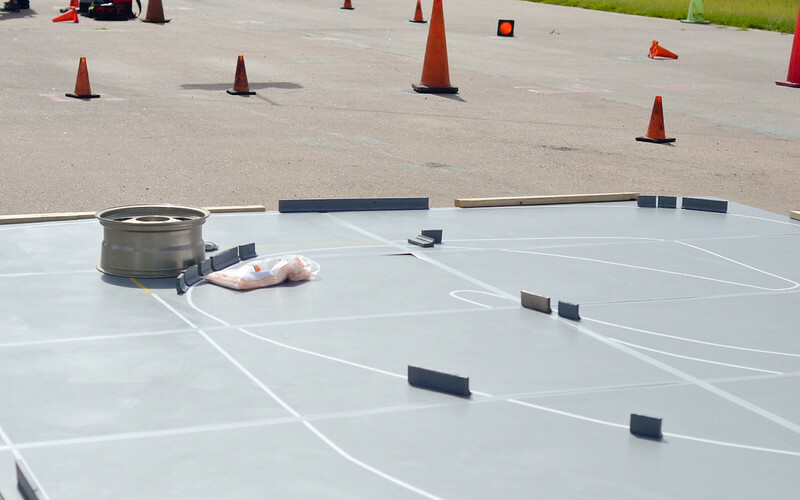 The markers can be numbers on the side of the track, cones, paint along the track, or even landmarks, like a bump on the track surface. 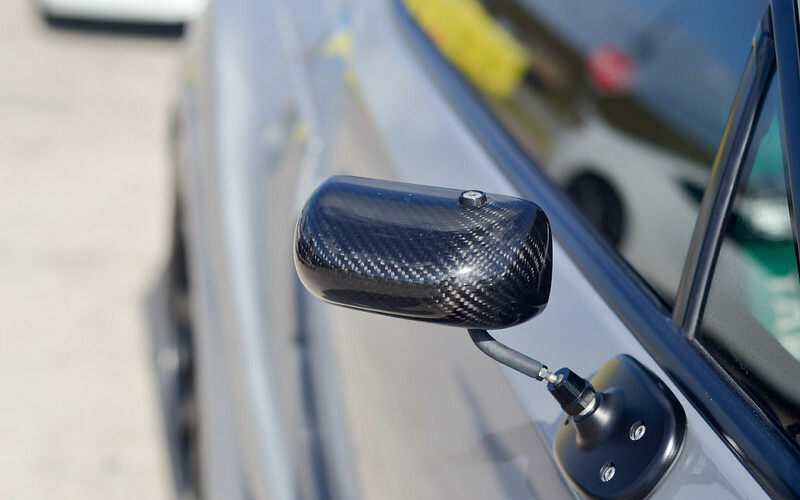 Braking markers gives you an idea when to apply the brakes before approaching the corner. Now with different speeds your braking marker changes. 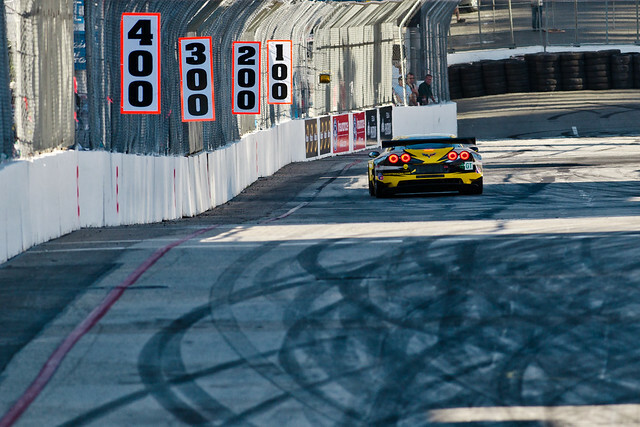 When Im at the track, I estimate when I should brake after passing a certain braking marker. If I go into the turn too slow then I know I can brake later and if i take the turn too fast then I know I should brake sooner. Do small increments at a time and that would be your braking zone. Simple right? Next when braking is to determine how much pressure applied is needed for the brakes. Thankfully with modern cars having ABS you don’t need to worry about lock up. A lot of people tend to underutilize the brake pressure initially. Then as you approach the corner too fast you are forced to brake harder. Which in turn can overload the front tires thus loosing grip and seconds. 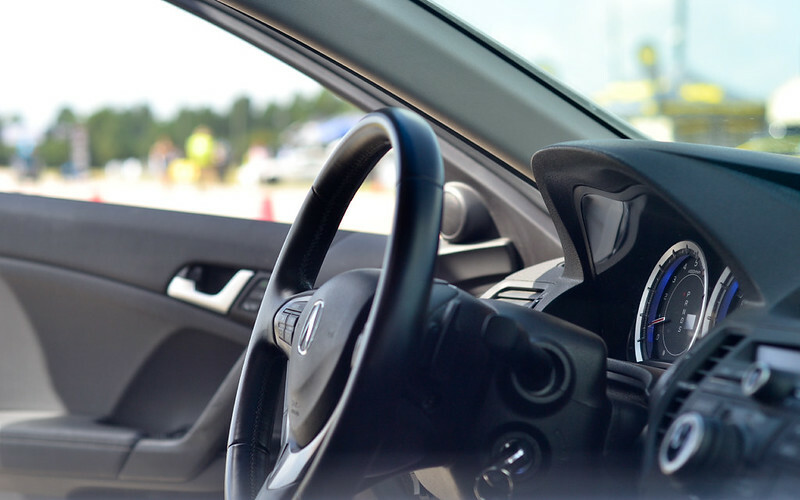 From what I have experienced; is when you are at your braking zone, you want to press the brake pedal fast and hard for the first 50% of the braking zone. Then gradually release the pressure before hitting the apex. 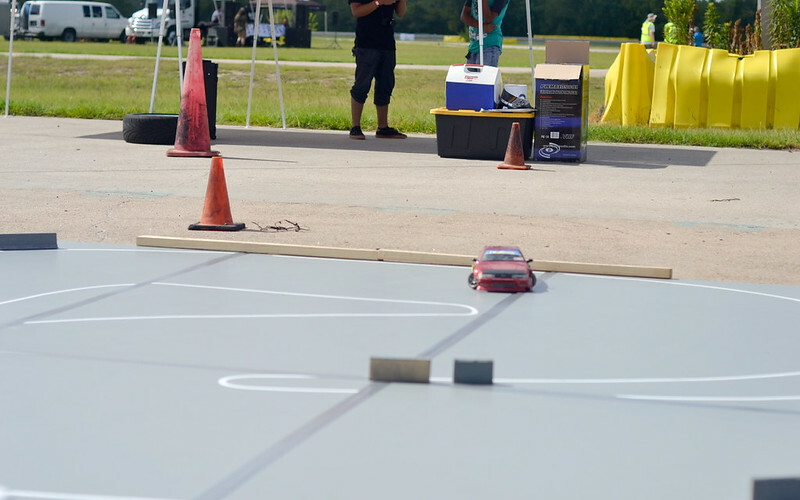 Pressing on the brakes hard on the first 50% of the braking zone allows the car to slow down significantly. Doing this loads up the front tire, and thus providing more grip in the front. 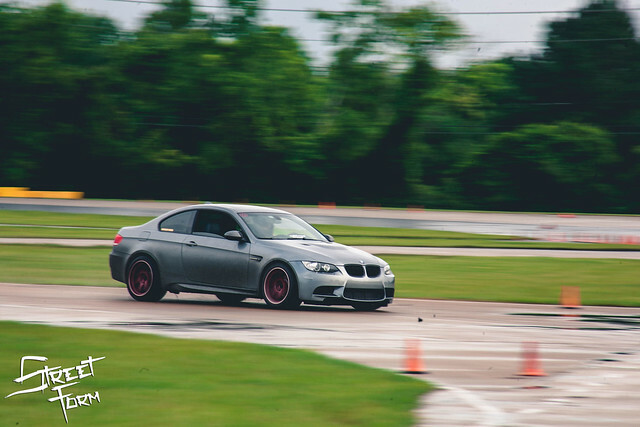 Then after the 50% of the braking zone is passed then you could start slowly releasing the brake pressure and modulate the speed going in the corner. 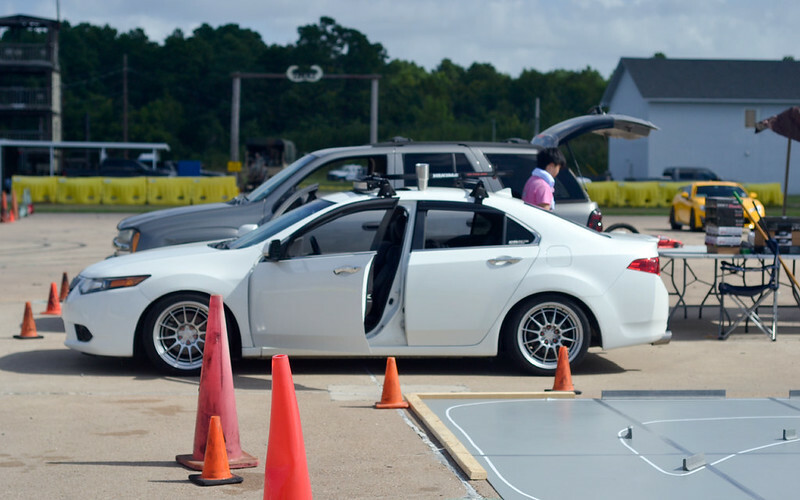 This allows the cars weight to shift slowly and making it more stable and predicable for the corner. Doing this technique also allows for trail braking. Trail braking is the technique of braking while turning. Ideally, they say correct way is to brake in a straight line then turn. But sometimes that can unsettle the car and can cause oversteer (at least for me). I say that because when you release the brake pedal all the weight shifted to the front shifts to the back. Then as you turn all the weight transferred to rear will act like that pendulum and swing the rear end out causing oversteer. This makes the car loose and more difficult to handle at the track. Yeah drifts are fun but its not cleanest or the fastest and sometimes if you do it wrong you will spin out. 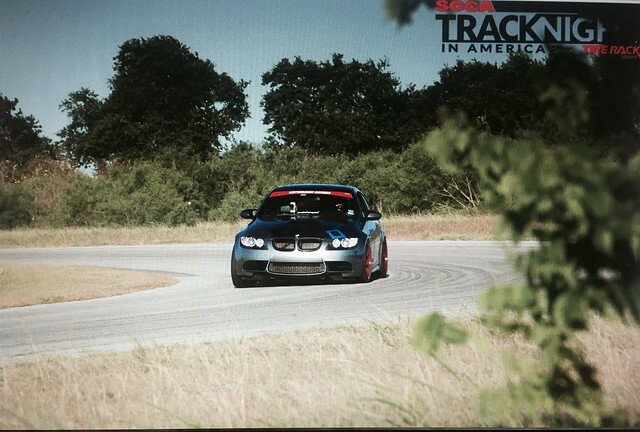 Trail braking when done right will allow you set up for the apex and have increased grip. Basically I do this during the 2nd half of the braking zone. 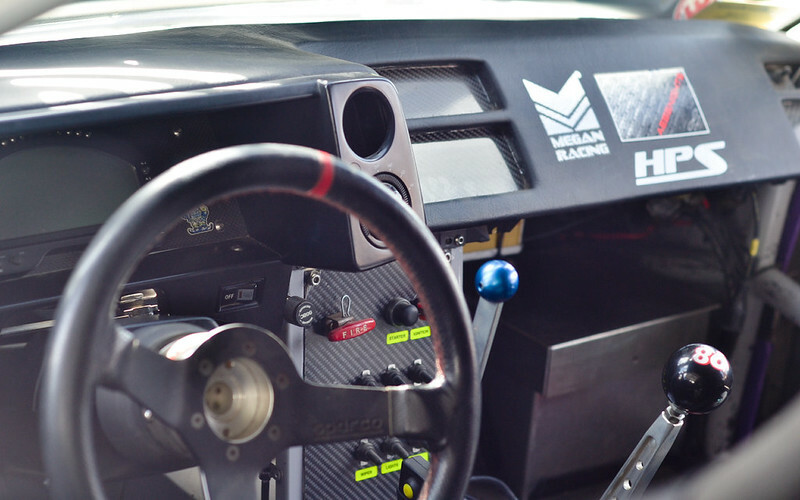 As I am slowly releasing brake pressure I am turning the wheel aiming for the apex. 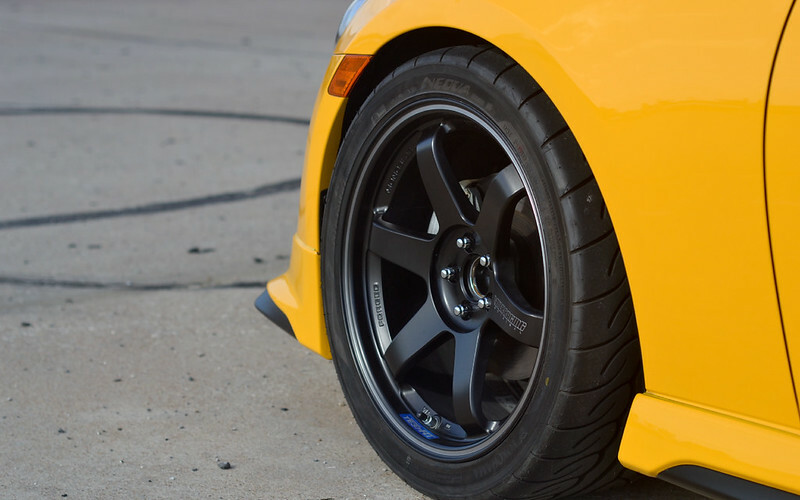 Braking allows the weight to remain in the front tires which loads it and provides more grip while turning. Hence modulating the brake pedal and speed. 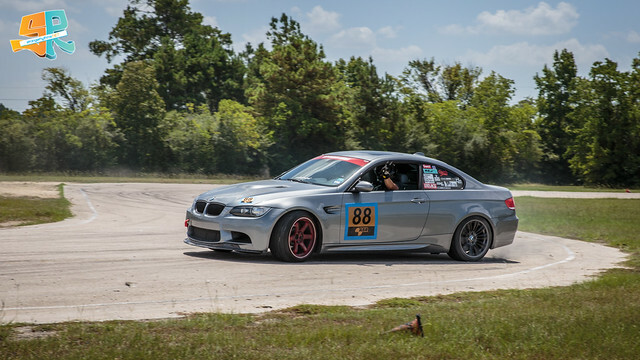 By the time I hit the apex my foot is completely off the brake pedal and ready to accelerate out of the corner. Now if done wrong you can overload the front tire and this will cause the tire to loose grip. 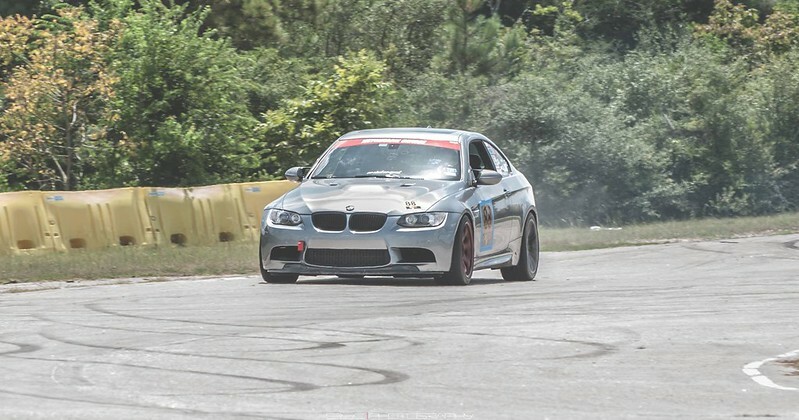 You loose seconds and get understeer or even brake lock up if you don’t have ABS. This can happen if you go into the corner to too fast. That saying: “slow in fast out” is sooo true. 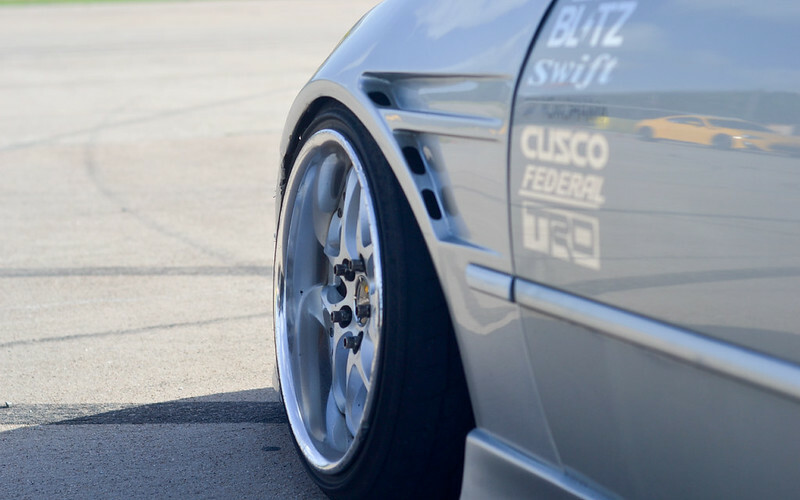 Such a dope pic from the photographers at Blacklisted Crew. A good rule of thumb, at least with me, is to do oil changes every 4 track days or every 3k miles, whichever comes in first. Another good thing to do that is often overlooked, is to do brake flushes once a year. I visited my buddy Fernando that owns Backyard Auto for my oil change and brake flush. Brake fluid is corrosive. Eventhough the brake lines are a closed system, they do get dirty and can significantly impair brake performance. 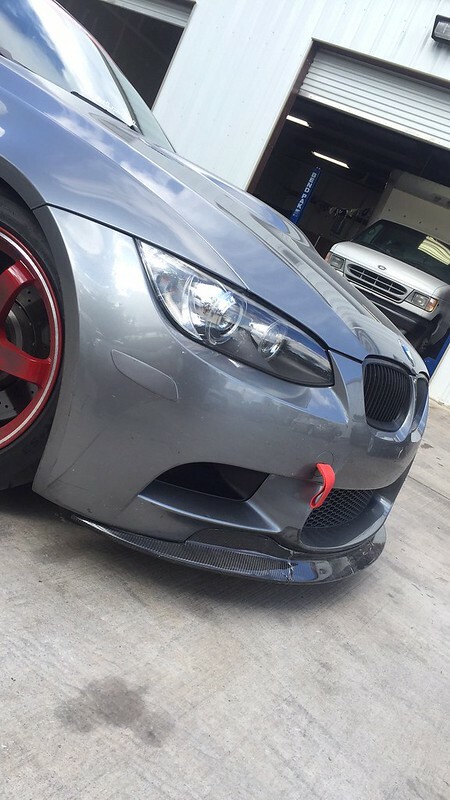 If you don’t track your car its still a good idea to do yearly brake flushes. 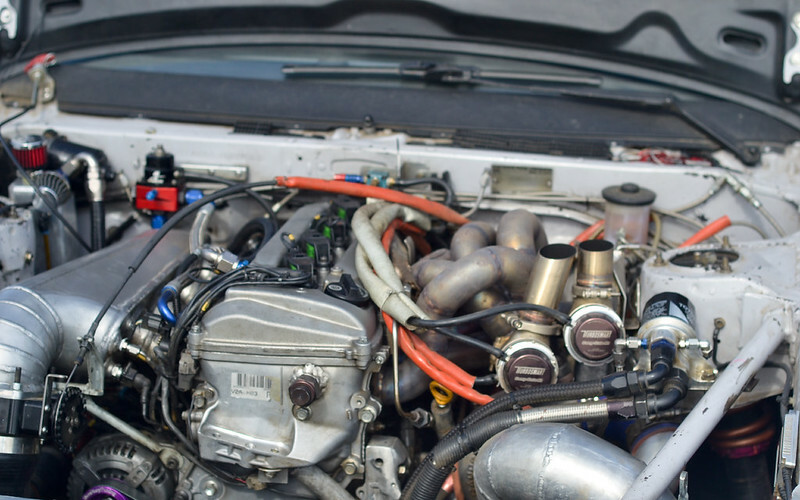 Its maintenance that will keep your car running forever and avoid serious complications later. 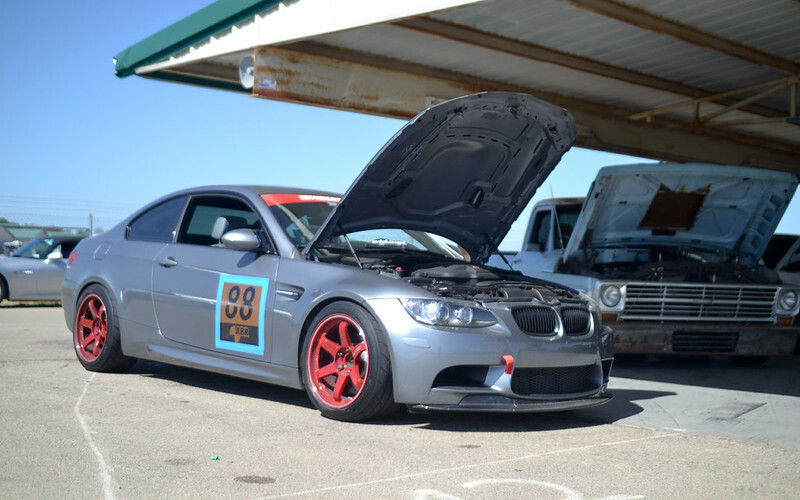 I use Motul dot 5.1 brake fluid for my M3. 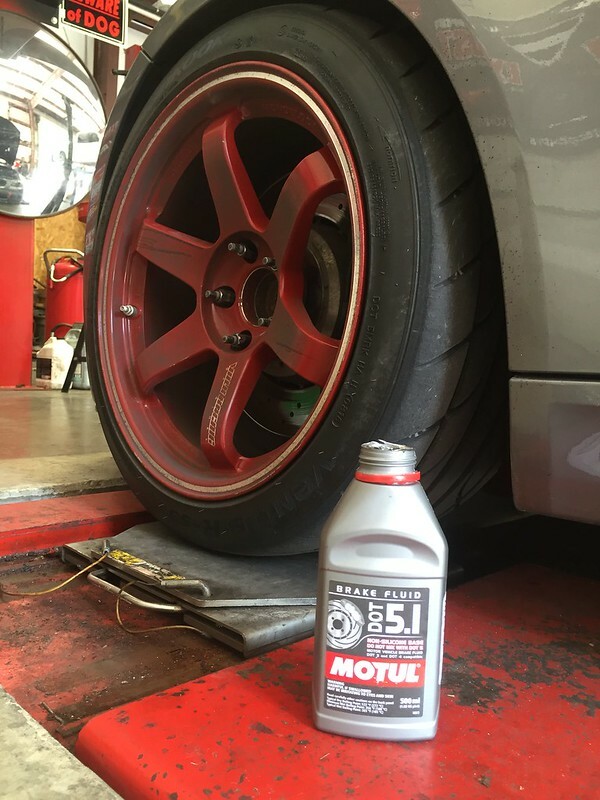 Motul dot 5.1 does the job for the track abuse and normal city driving. 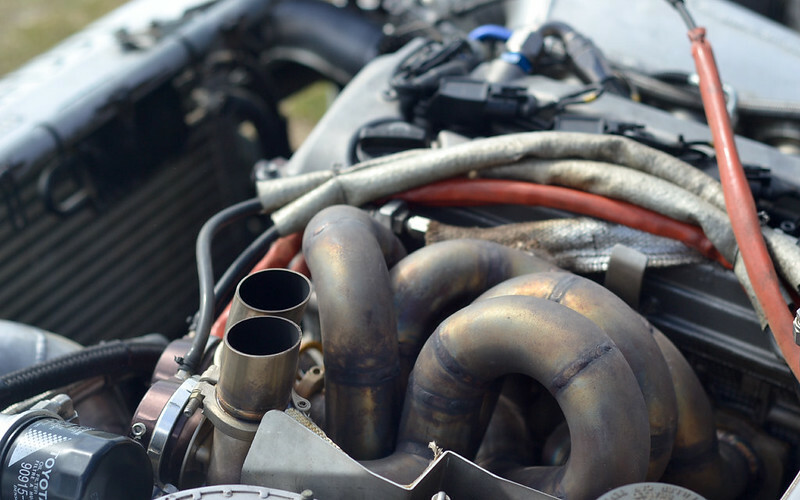 My experience from the track, is the Motul performs exceptionally well and never had them boil. The brake pedal feels consistently firm and great bite. I can modulate the brake pedal nicely to adjust my braking distance. 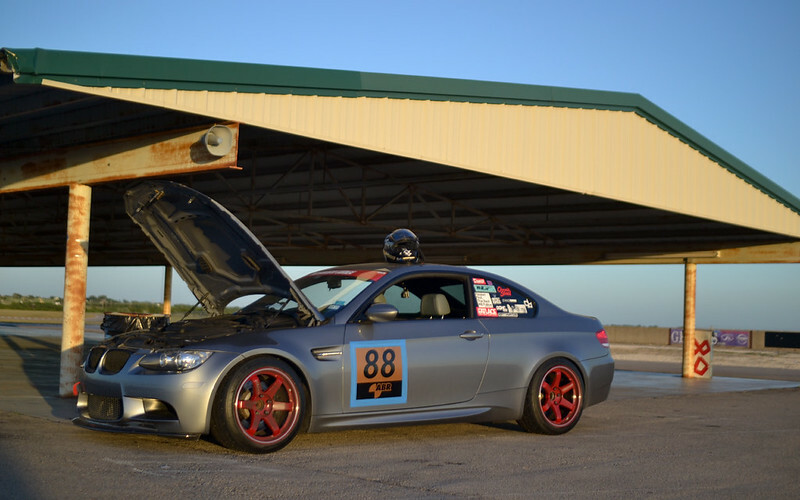 Only at COTA is when I had brake fade issues but I think that track exceeded the stock brake system. If I had race brake pads and fluids then it wouldn’t be an issue. 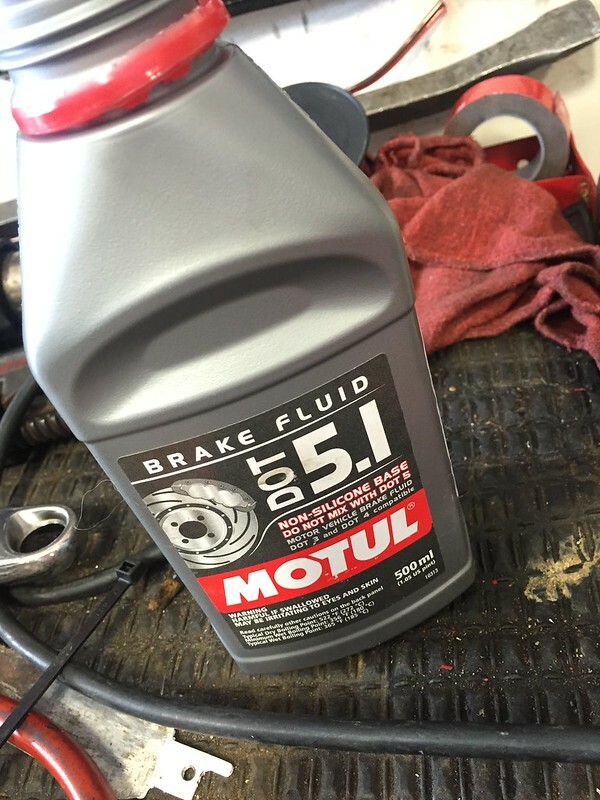 Motul dot 5.1 is little more expensive than normal dot fluid but its way cheaper then higher temp brake fluids. For me its the perfect match for track abuse and city driving. 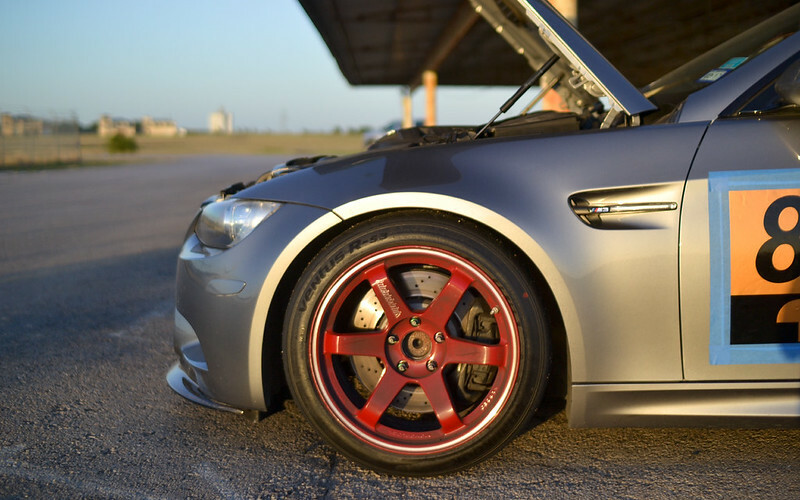 The M3 only required one bottle for the stock brake system. While I was doing waiting, I notice within one week I managed to crack my lip. Comes with the territory when tracking. 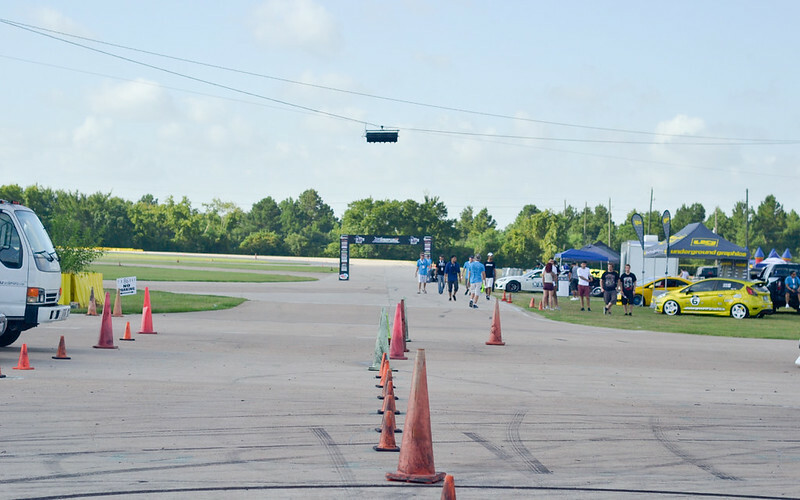 Unfortunately during TX86 Day, there was a cone in the middle of course and I was unable to avoid it. The lip is still intact but you can see the crack is visible. Battle scars. Soon after coming off from a 12hr shift I headed straight to HPD training academy for TX86 day. I was pretty tired but my tiredness soon went away when I arrived. TX86 day was a event hosted by the people from NST on August 6, hence 86 day. 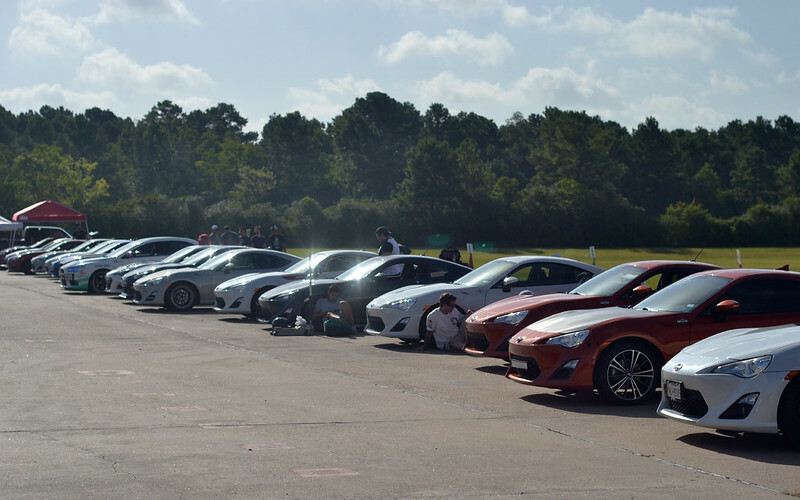 That day celebrates the Toyota AE86 and the newer Scion FRS, and Subaru BRZ. TX86 didn’t allow non 86 owners to participate, but they did offer a pre screening for some slots. Luckily I was one of the few that was allowed to drive at the track. 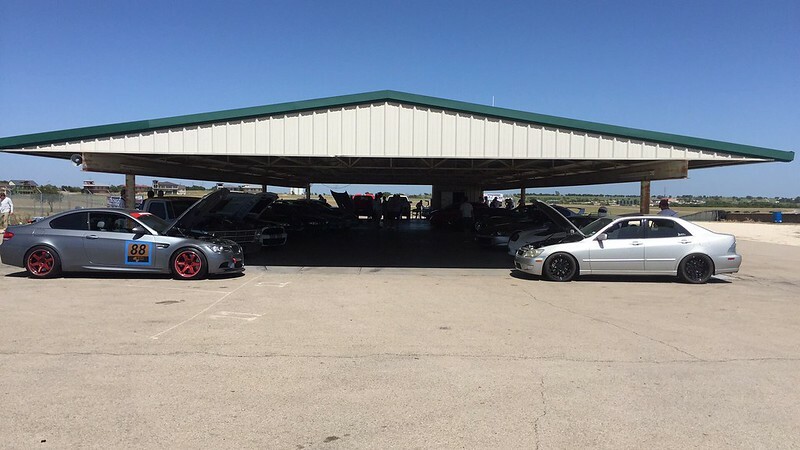 When I arrived there where already a lot of 86 owners that was getting ready for the driving event or the car show. I was contemplating if I should grip or drift, but after seeing the famous Taka Aono do a drift session I made up my mind to go drifting. 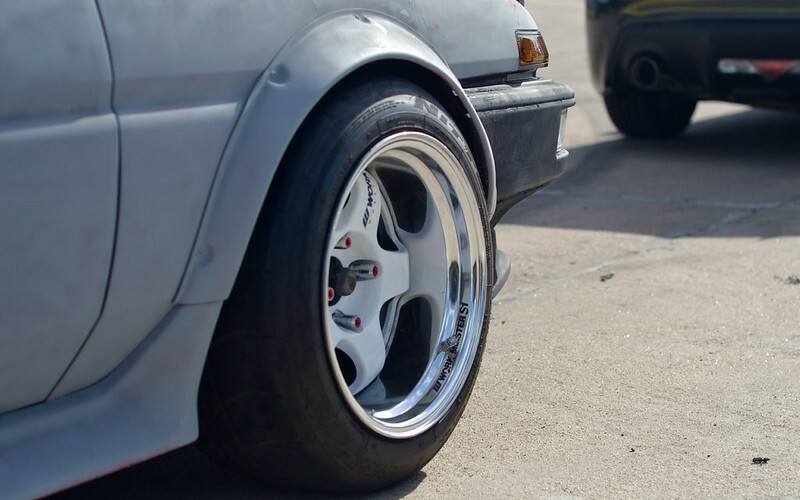 I brought my spare wheels with brand new Nexin N9000 rubber and slapped them on the rear. It was super hot and humid that only got worse in the afternoon. 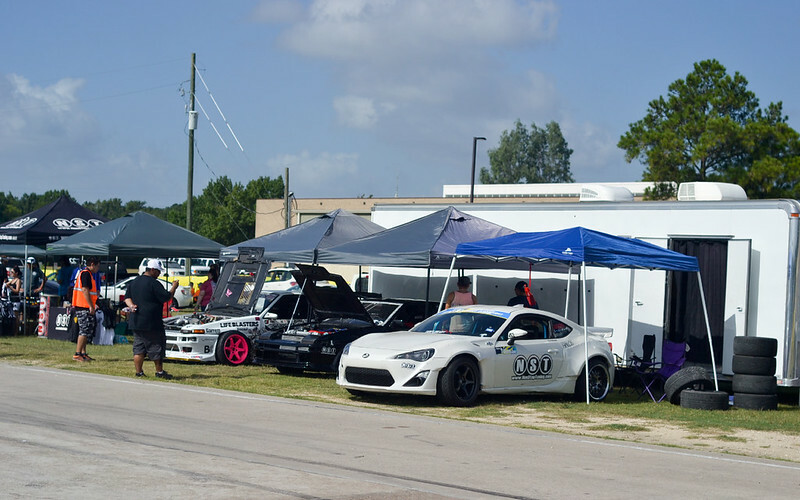 Regardless, people stayed for the show and grip/drift event. From past experiences at that track, its always a good idea to bring drinks for hydration. 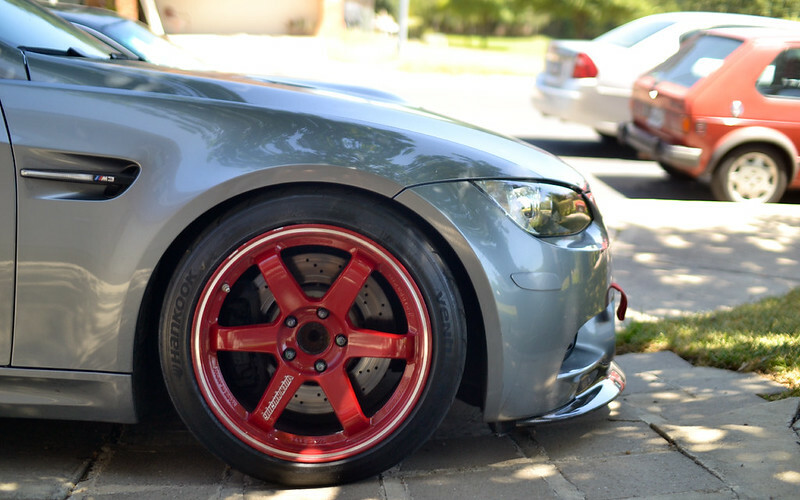 This Lexus IS300 fitment was spot on. 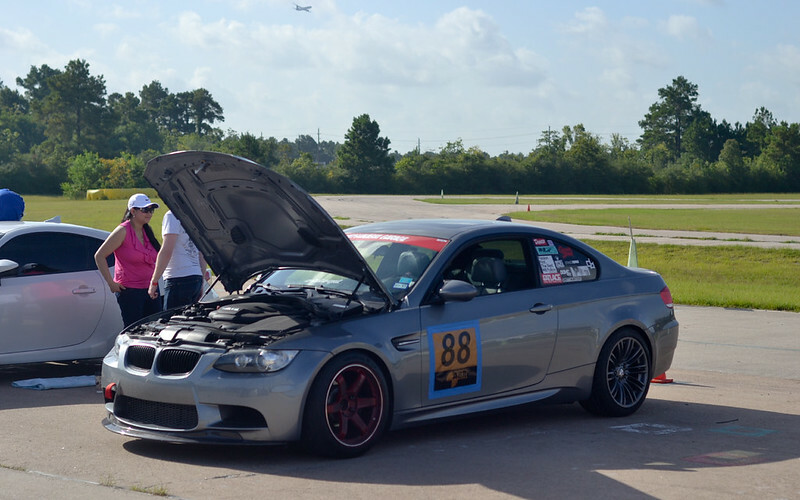 One of the few non 86s that was allowed to drive at the track. It even has an old school Nardi wheel and roll cage for tandem drifts. 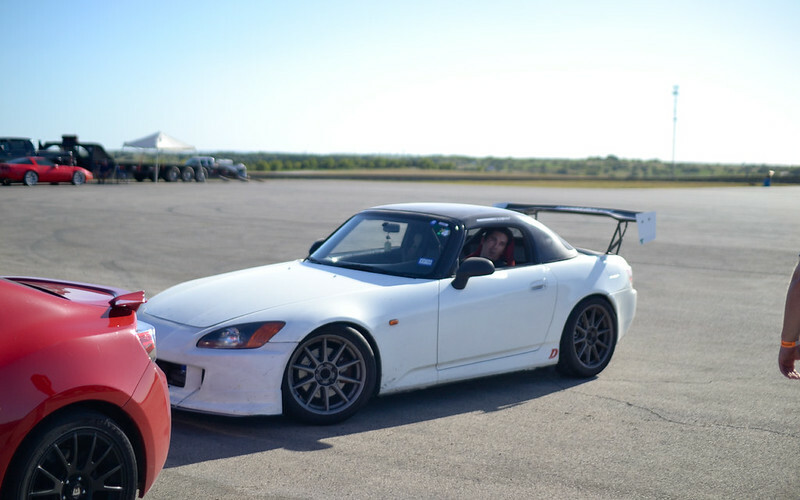 They didn’t allow tandem drifts at this event and kinda glad becuase Im not at that level. 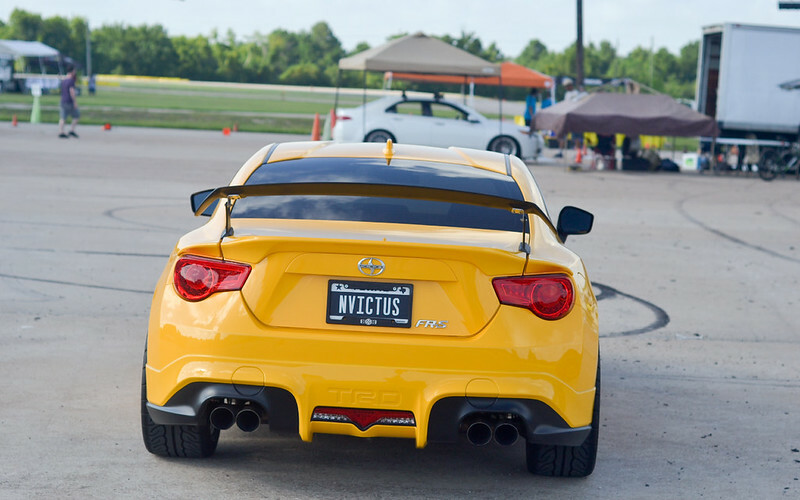 This yellow FRS is rocking Volk TE37RTs with Advan Neovas, and dressed in TRD accessories. 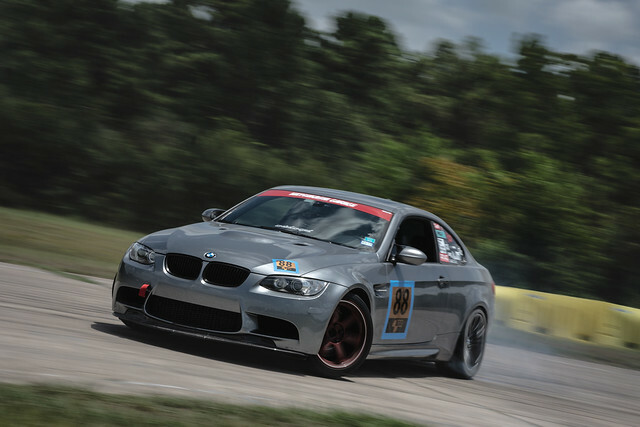 Most the cars drifted the course but this car looked well planted focusing on grip. Seems like with this chassis you can tune it for grip or drift, it does both pretty well. 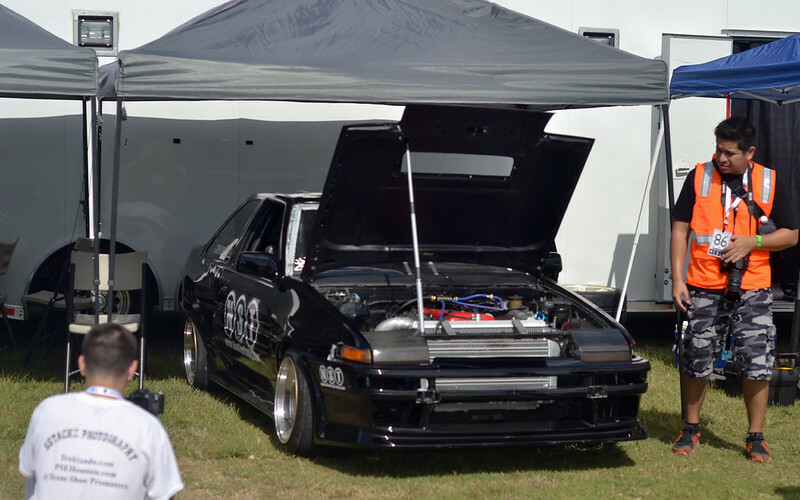 A right hand drive AE86 that was in the show section. Sporting some very deep dish Work wheels and sticky Nitto NT01s. Looked like a work in progress but headed in the right direction. 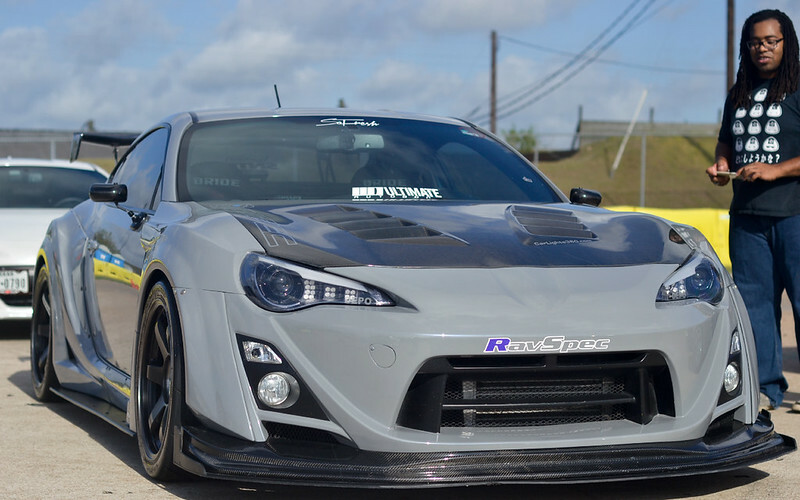 A FRS/BRZ rocking the Varis body kit in the show section. 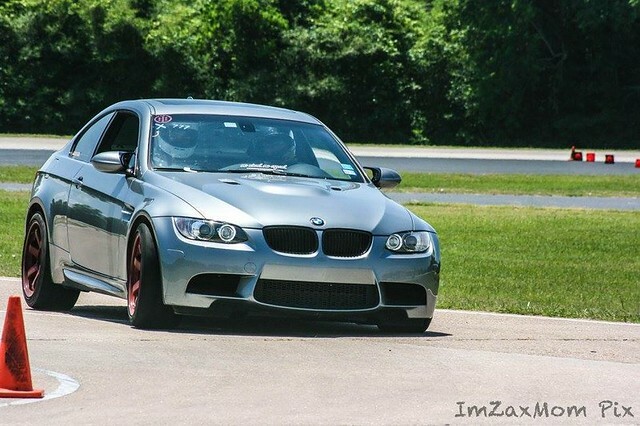 The aero looks soo aggressive that it could do a time attack. 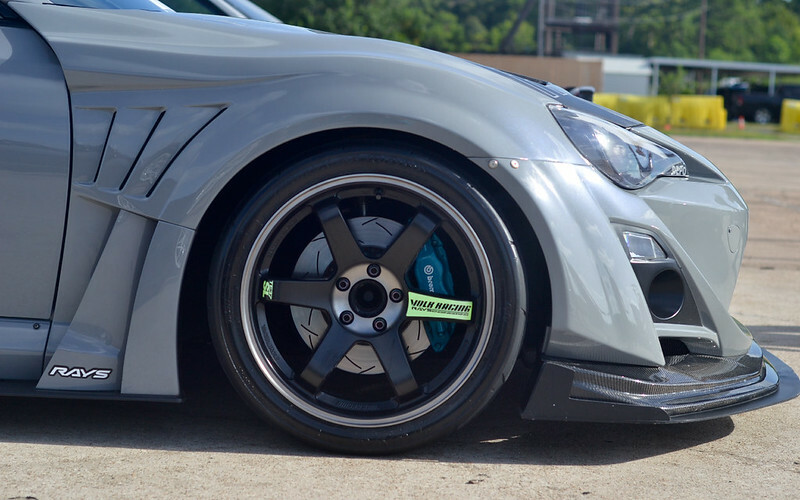 The Volk and Brembro combo looking nice. 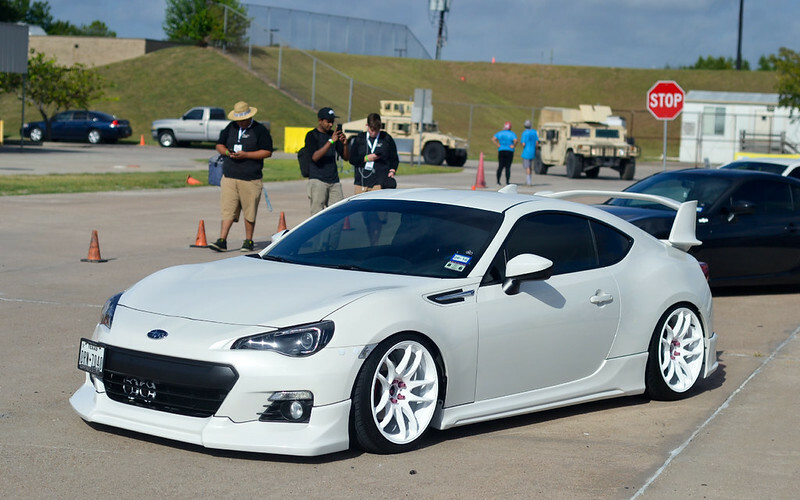 Slammed BRZ in the show section. I remember when I was about that life. 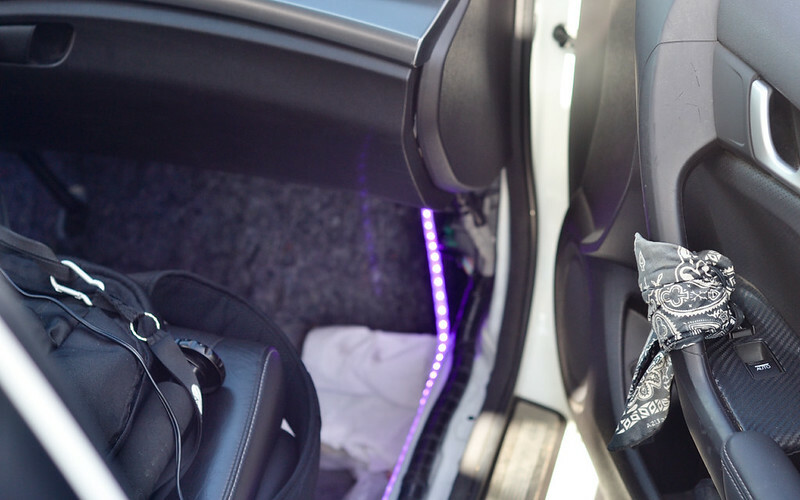 Neon interior light for JDM. Simon setting up the drift course for the RC cars. The NST booth that hosted the event. 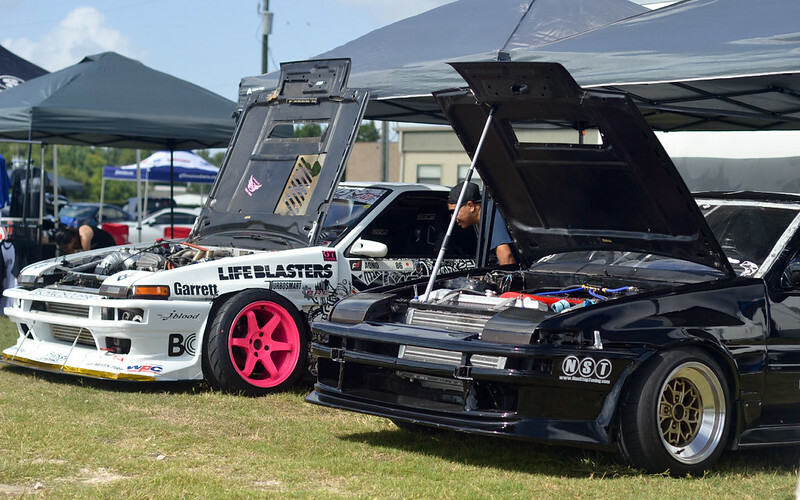 The black AE86 with the NST logo is actually Taka Aono old drift car in the OG days. 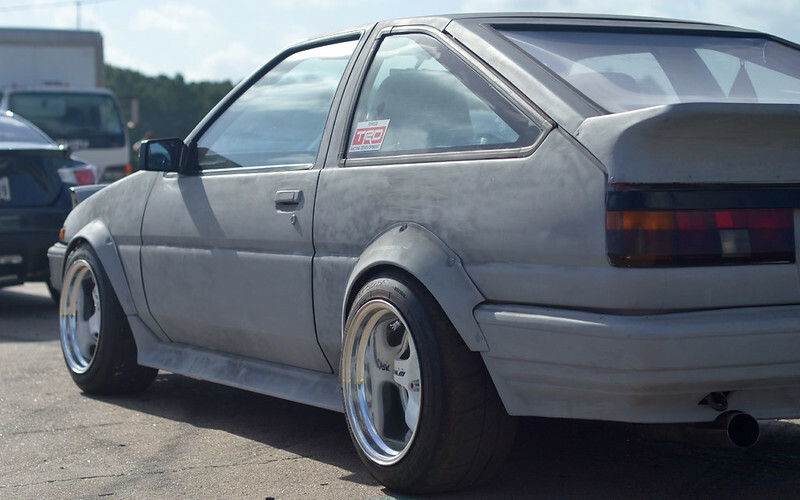 The AE86 with the red wheel is Taka Aono current drift car that competes in the Formula Drift series. 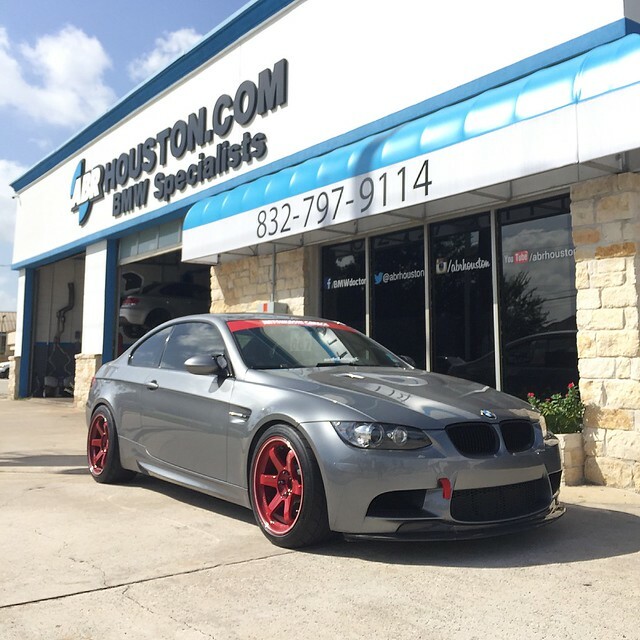 It produces 700hp! 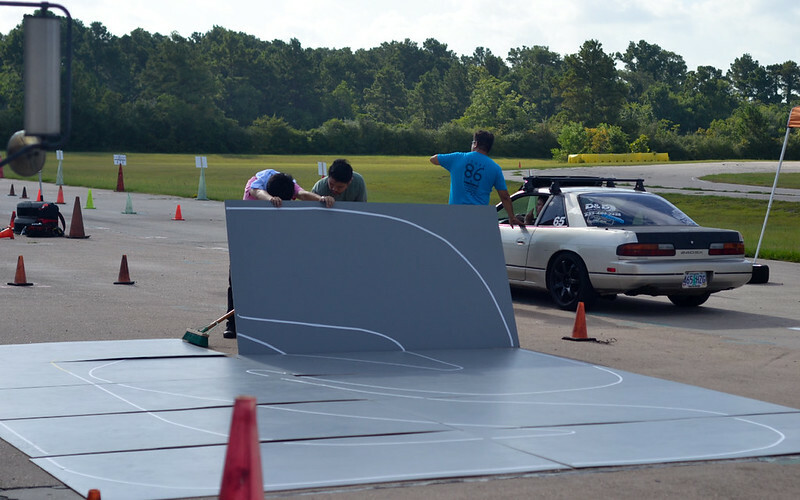 Taka Aono and Yoshie Shuyama offer drift school in California. I feel pretty thankful that they came from California to Houston to celebrate 86 day. The VIP drivers got an opportunity to get lessons, which I felt like I missed out on. I didn’t get a chance talk to them personally but I could tell they made their passion into a career and thats something I want to work towards too. I like nursing but my passion has been racing. Simon Chan was able to get a dope picture of me sliding and kicking dirt up. Another shot by Simon Chan. After 24hrs of no sleep, a day of just drifting and catching up with friends the tiredness caught to me again. Next thing I knew, it was 4pm and was hotter than an oven.I had a great time but I was feeling the heat. So I switch to my Volks, packed my gear, and headed home. Till next year, I hope I can join TX86 day again! 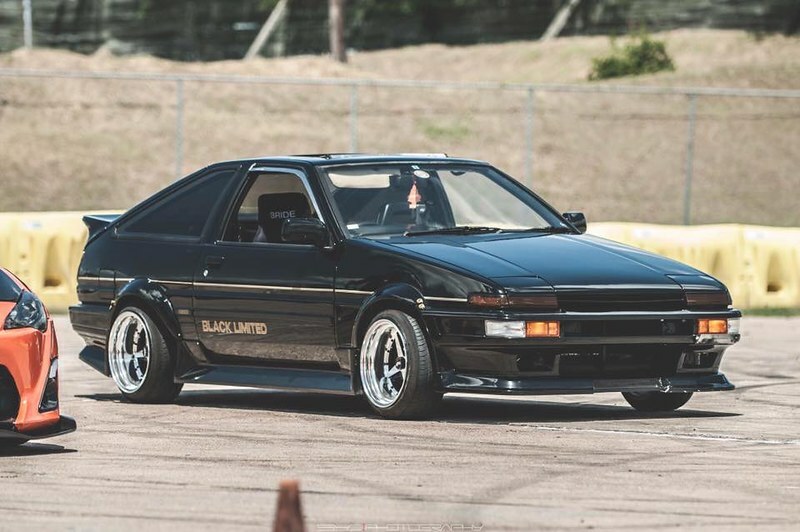 I think its only appropriate to end this coverage with my homie Thaison and his newly acquired AE86 Black Edition. Thaison just slapped on Work Equips and really gives that Hawaiian/Cali look to it. Dope photo taken by the famous Simon Chan. Another fun day at the track. 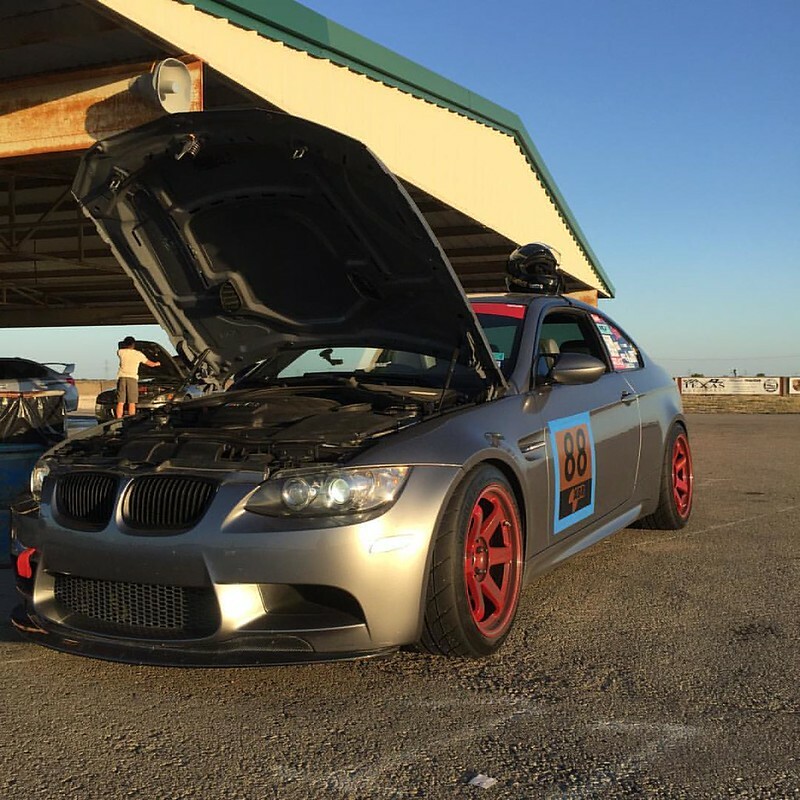 This was my first time racing at this track and was pretty far drive from Houston (4hrs). I racked up about 800 miles part of which was because I stayed overnight in Austin. Even though I track once a month I joined the novice class becuase it is my first time here. I was thinking the track would be pretty empty since its was 102 degrees outside. Surprisingly I counted 11 cars in the novice class, and was actually less drivers in the intermediate and expert class. When I got there, the covered garage was filled! Grudgingly I unloaded all my tools and tires in the Texas sun. I did leave my tires and tools in the shade, at least there was room for that. The silver Lexus IS300 is actually pretty fast in the straights, I later found out it was LS swapped! 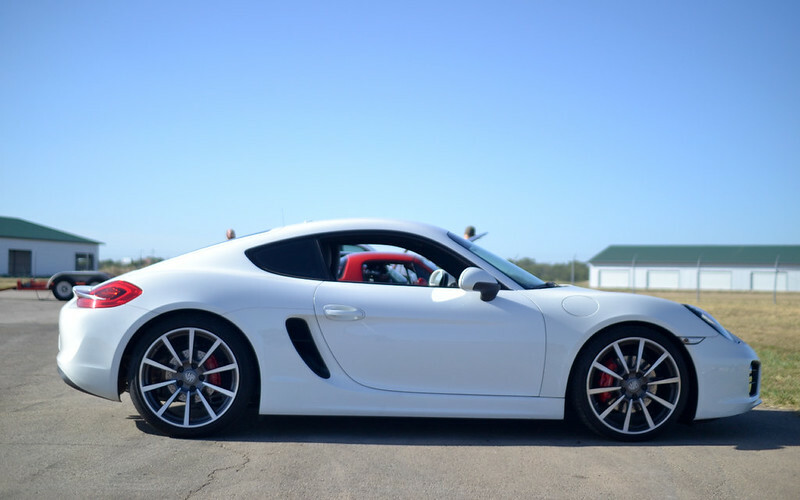 The track day included 3 sessions, each being around 20 mins. 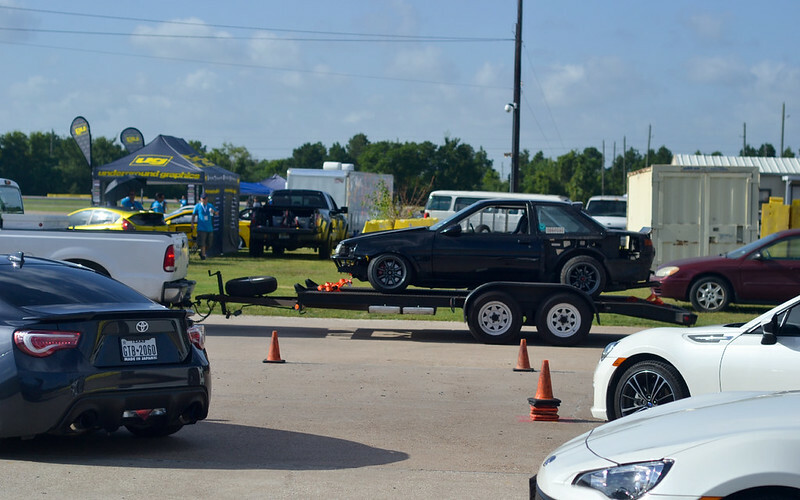 On the first session, I was behind the IS300 when it started smoking bad with the smell of burning metal. Soon afterwards it smoked very badly and pulled over to the side of the track. Then session was black flagged and required everyone enter the pits. We waited roughly 10 mins for the track workers to clean up the spill and I found out the IS300 blew a power steering hose. Thankfully we were able to get back on the track to complete our first session. 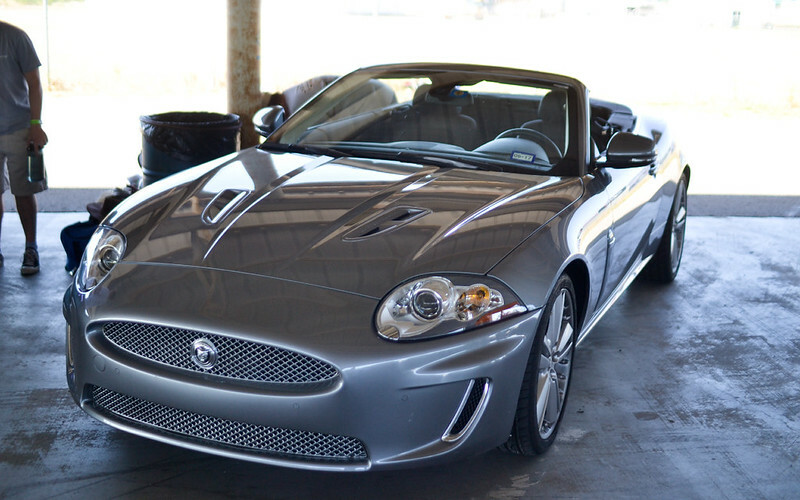 This Jaguar was just cruising on the track top down. Not that Im saying its slow at all but you could tell the guy was just out there to have a good time. Its about the experience. 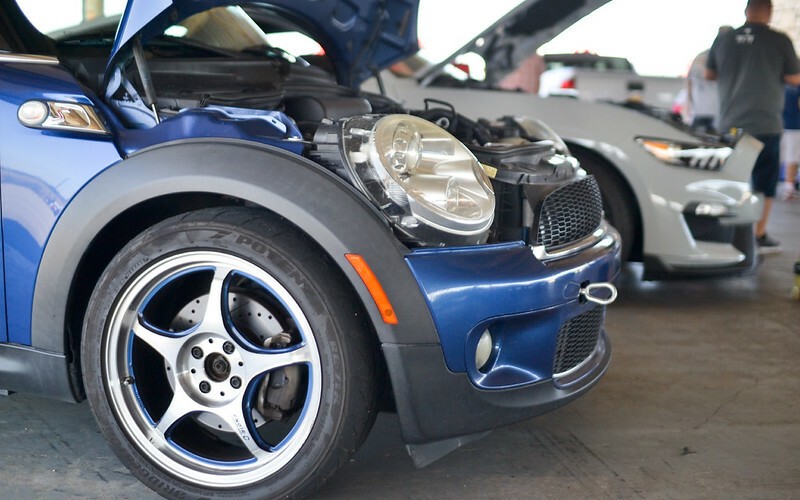 Mini Cooper on Bridgestone RE-71R. 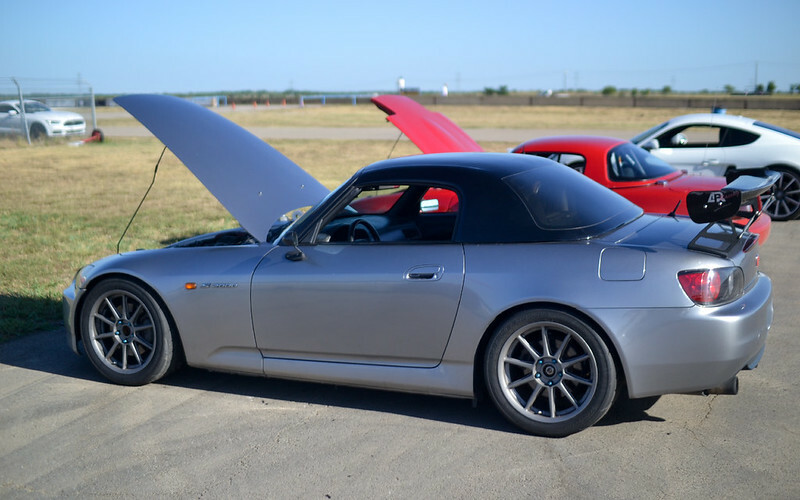 I’ve seen a lot of people run RE71Rs on the track and autocross. 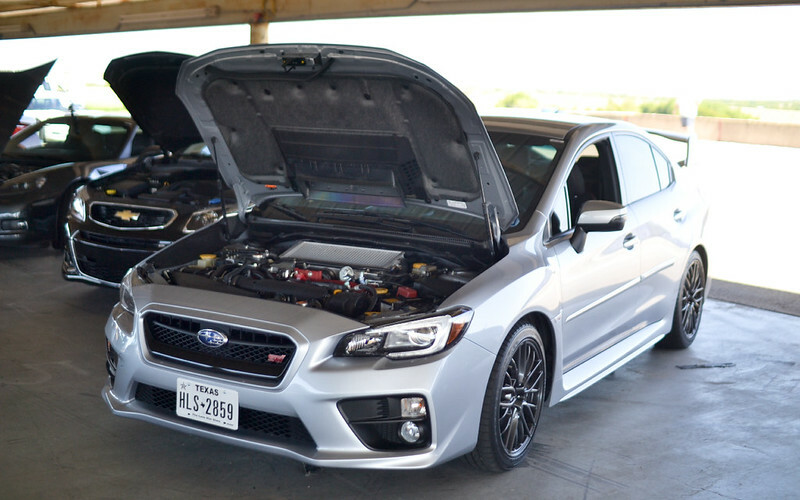 They say its better then the RS3. I need to try those out. 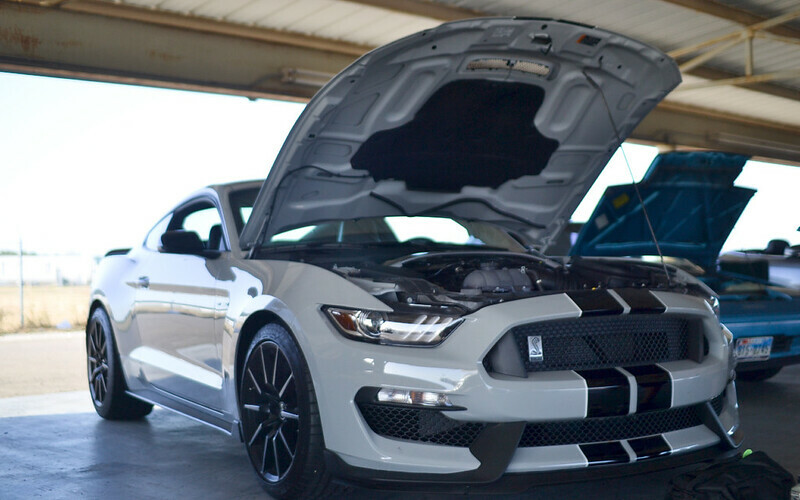 The 2nd session went through without problems and I got in a friendly competition with the Mustang Shelby GT350R. These days you always see jokes and memes how bad mustangs handle. Even on YouTube, just a simple search and you can find videos of drift and burnout fails of mustangs. 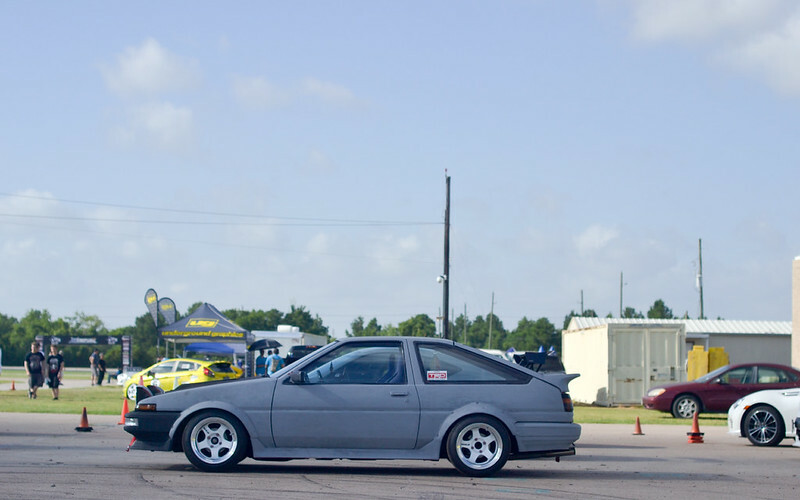 I got to hand it to Ford making a track oriented car. The GT350R could never pull away from me but I couldn’t pass it either. We were evenly matched and pushing each other to the limit. This was the hardest I pushed myself and the M3. The last couple laps my tires got too hot and grip fell off. I had to back off and let my tires cool but thankfully the checkered flag was waving. After the session we shook hands on a great race. Unfortunately, which seems to happen often, my memory card was full by my 2nd session and the epic battle wasn’t recorded. 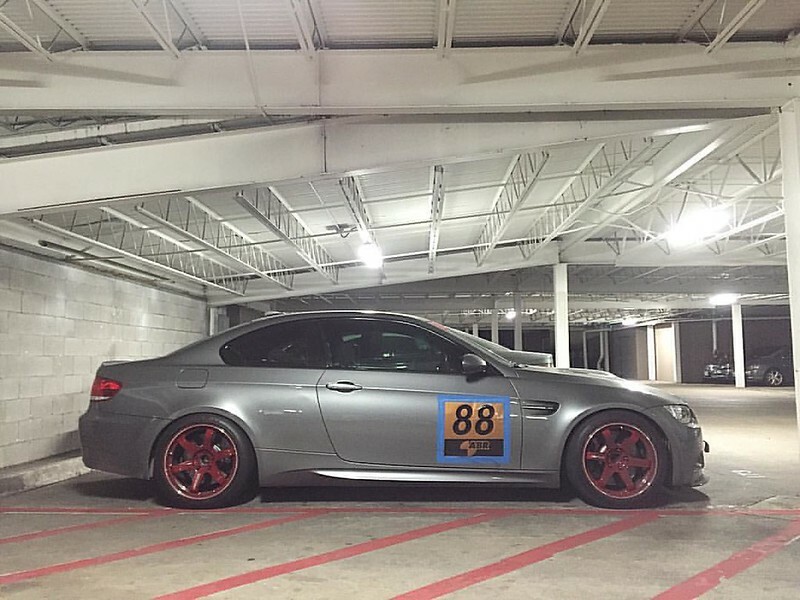 After such an adrenaline filled session, on my last and 3rd session I just played it chill and didn’t go to hard on the M3. 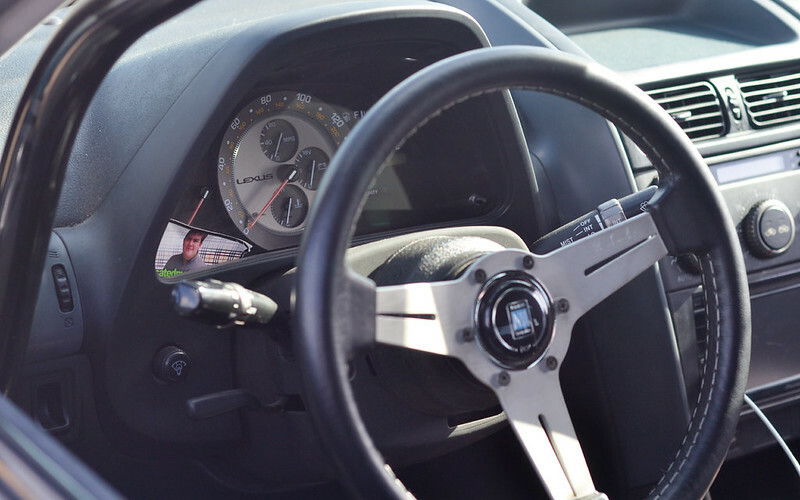 I was shifting early and using 3rd gear on 2nd gear corners. That session went on without incident and was great. The 350R did catch up to me but I let him pass, I know he probably wanted another duel but sometimes if you go over the limit that when bad things happen. After the 3rd session, the sun was setting and was just that perfect lighting to take a picture. 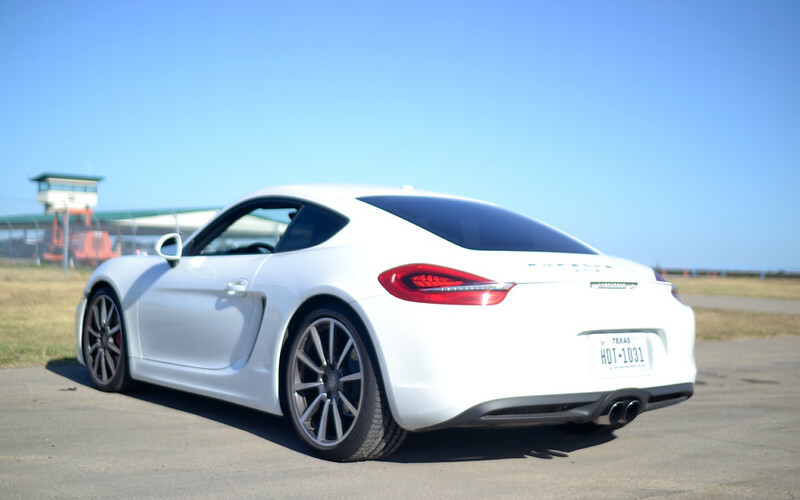 Lady driven Porsche boxer was in our run group. 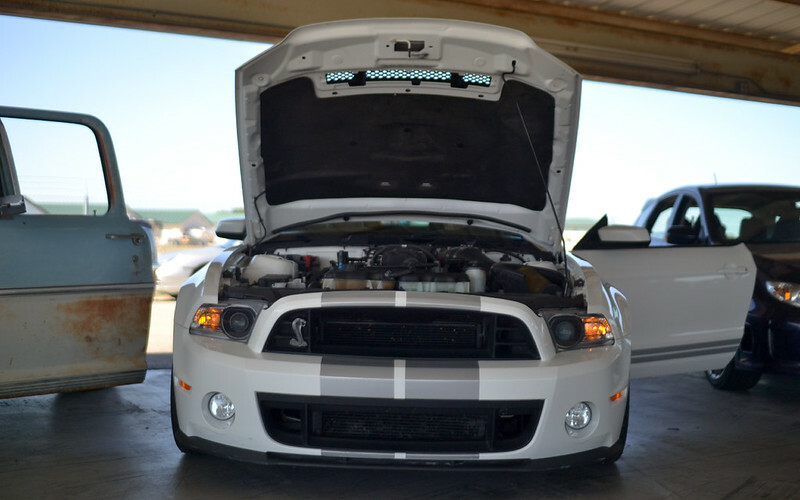 Mustang Cobra is supercharged with pullies and tune. 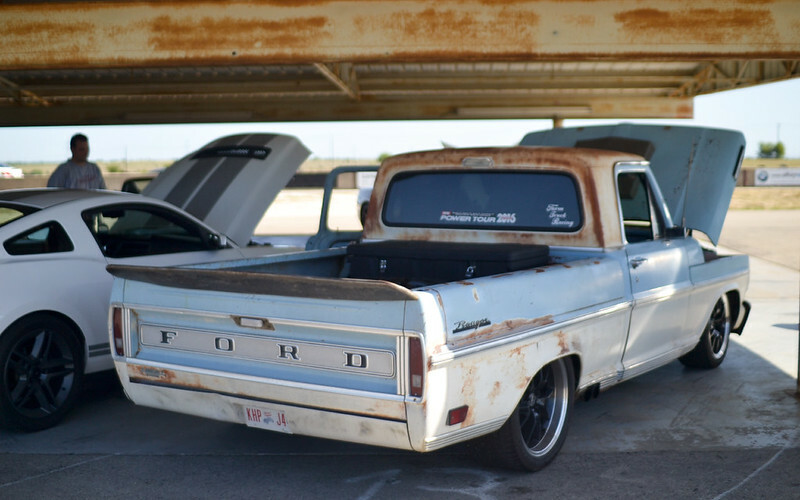 The car is mainly used for drag racing but the owner still had a good time at the track. This truck was a complete custom build, tube chassis, modified frame and with a supercharged V8. Unfortunately it only did one session becuase trucks are not allowed on the circuit. Look good though, like the rat rod look. You get a good mix of cars in the run groups which makes things more interesting. Four bangers were also out too. 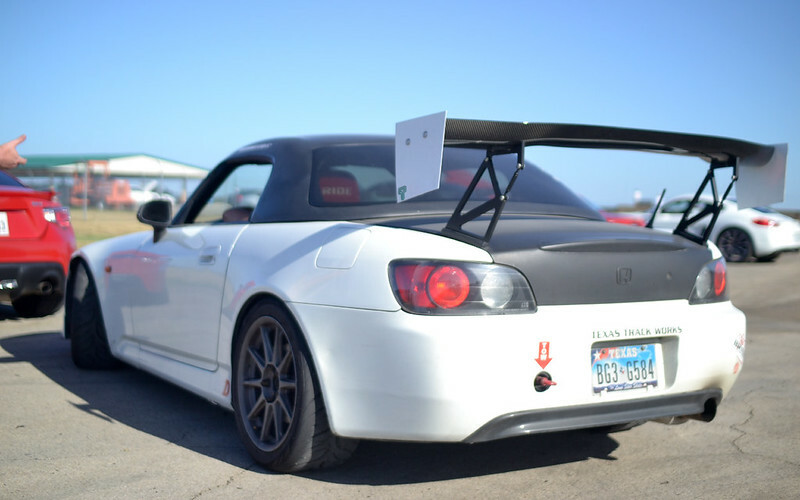 I thought this S2000 was on Hankook TD but its was rolling on Ferderal tires… I wonder how they feel at the track. Harrys Lap timer was working seemlessly and I managed to clock 01:31.53 seconds, which I have no idea if thats fast or not. But it felt good just being out there. Heat cycled Hankooks did a really great job. They only over heated once because I pushed too hard on my 2nd session and grip fell off. It handled the abuse in the 102 degree heat. 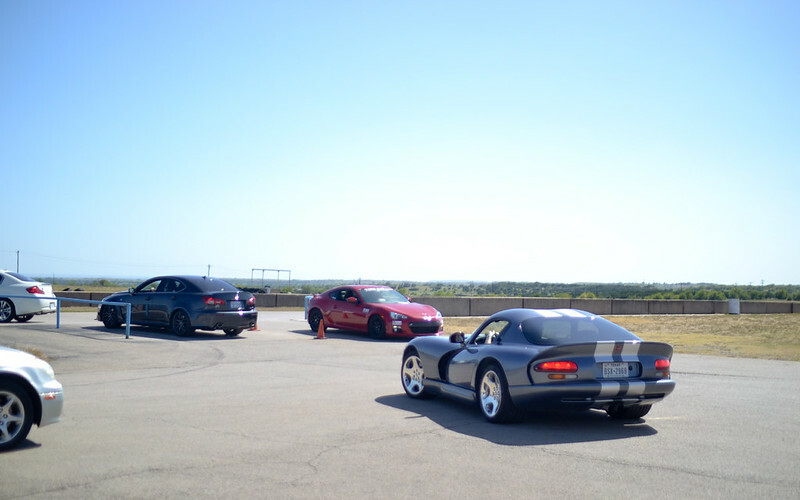 MSR Cresson consists of high speed long sweepers, late apexes with a few tight twisties (aka the rattle snake). The track isn’t terribly fast, but I managed to hit 100mph on the straights. 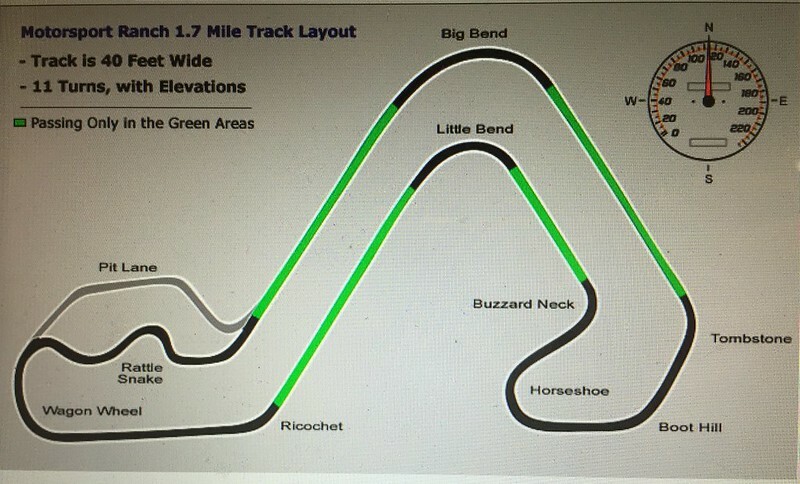 With shorter straights and longer sweepers, the track isn’t harsh on the brakes compared to COTA or Harris Hill. You can with the amount of brake dust after my last sesson. What I really did like was how smooth the track was. The track is well kept and very close to gas stations, some even offering racing fuel. I’ll be back again. 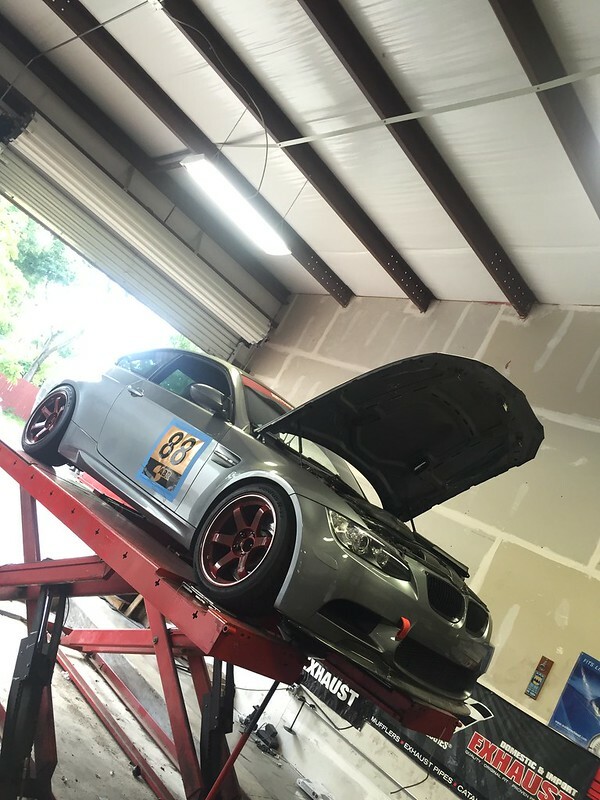 TE37 is like a white shirt…. Goes well on anything.